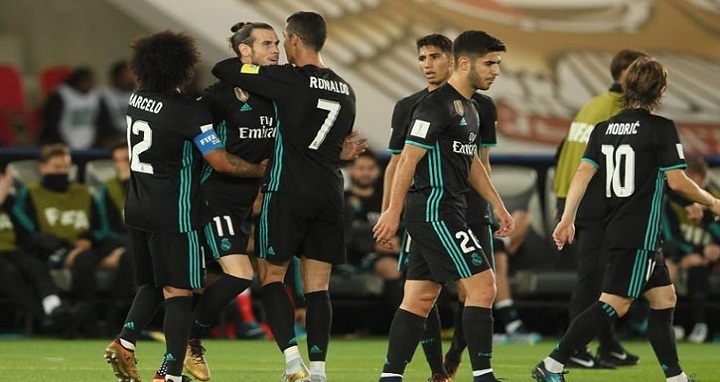 Dhaka, 14 Dec, Abnews: Gareth Bale scored an 81st-minute winner as Real Madrid came from behind to beat Emirates club Al Jazira 2-1 on Wednesday and reach the Club World Cup final. Madrid will try to win its third world title in four seasons when its faces South American champion Gremio on Saturday. The match had two goals disallowed by video review, one for each team. Madrid struggled early and allowed the local league winners to open the scoring with a goal by Brazilian forward Romarinho just before halftime as he took advantage of a mistake from his compatriot Casemiro. But Cristiano Ronaldo equalized early in the second half and Bale netted the winner less than a minute after entering the match as a substitute for Karim Benzema. Al Jazira qualified as hosts after winning the UAE Pro-League last season, while Real Madrid enter the tournament as last season's winner from the Champions League.